To enable you to perform these excellent, fresh, seasonal songs with the children in your school, holiday club or Sunday school a great value bundle is available that contains the sheet music for each song on the album. Also available are two backing tracks CDs, one that includes the music, children's choir and backing vocals, and the other with just the music. See www.essentialchristian.com/occ for more. The Greatest Gift Of All (Song Score Bundle) by Various Artists was published by Essential Christian in July 2016 and is our 16715th best seller. The ISBN for The Greatest Gift Of All (Song Score Bundle) is ELE2187-3L. Got a question? No problem! 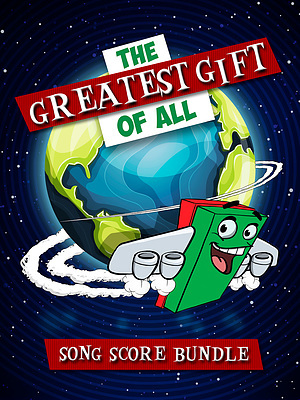 Just click here to ask us about The Greatest Gift Of All (Song Score Bundle).